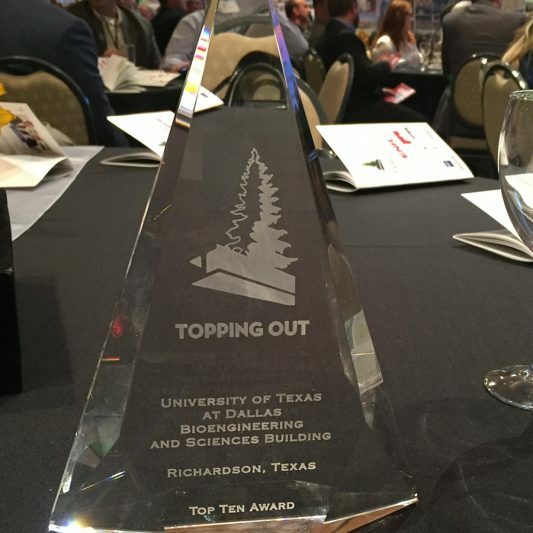 The Beck Group’s work on the Crescent McKinney & Olive Office Tower and the University of Texas Bioengineering and Sciences Building was recently awarded with a Topping Out Top Ten Award. 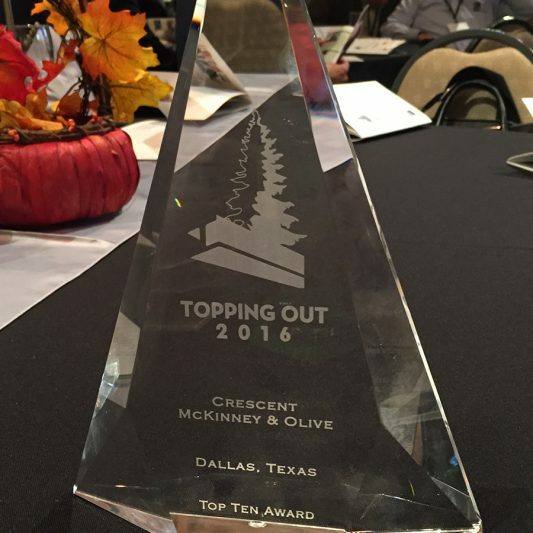 The awards event was held at the Dallas Arboretum and Beck also served as a Silver Sponsor. At Topping Out industry leaders from both Dallas and Fort Worth are uniting to recognize and honor excellence in the fields of development, architecture and construction which positively impact our communities. Topping Out signifies a coming together of the building industry in more ways than one. Awards are handed out not on the basis of individual achievement, but rather in honor of the collective accomplishments of the entire team responsible for a project’s success. Proceeds from Topping Out benefit the Architecture Chapter of the University of Texas at Arlington Alumni Association, a non-profit, to fund UTA College of Architecture, Planning and Public Affairs (CAPPA) student scholarships & initiatives. In addition, Topping Out proceeds also benefit members of the Topping out Partnership Program for charitable based educational programs.